Chizzy is the mind of Chad Mize. What started out as a fun nickname in 2005 has now become a powerful design & tshirt brand. 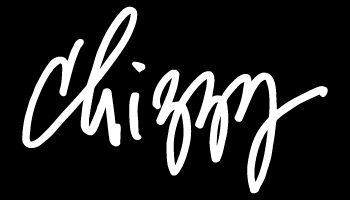 Chizzy is a view on life via art, design, photography, style, fashion, music, satire, nostalgia, politics, and more. "I always wanted to have another name that wasn't my own to promote my ideas and make my mark on the world. It allows me to separate my own signature art from fun and random works I want to throw out there to speak my mind at that moment. I create something new daily ... design, art, photos, motion, a statement or view. Doing this allows me to stay current. It inspires me to create and make an impact on everyday life."